I finally bit the bullet and made sourdough starter! When I first was married, my mom-in-law handed me over some family recipes and the sourdough starter/coffeecake recipe is one that was so intimidating to me. For years, I've wanted to make the starter AND the coffeecake, but was too afraid of messing it up. I am happy that I made the starter, but realized I needed to get some more sourdough recipes. Lucky for me, my fellow Secret Recipe Club members had the mother lode of sourdough recipes on their blogs. Thank you, ladies! 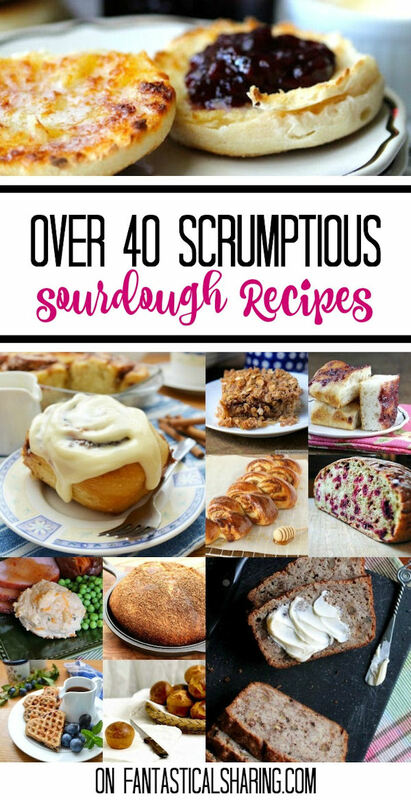 And thank you to the other bloggers who contributed to my hoarding of sourdough recipes too! Also, thank you to Ann, who shared a low sugar, low sodium Faux Sourdough Bread recipe with me. I am definitely passing this one along to my mom since my stepdad is diabetic, but LOVES sourdough bread.